October is breast cancer awareness month, and Bill Jacobs BMW of Naperville is proud to announce their Score a Deal for Breast Cancer campaign. For the entire month of October, the dealership is raising awareness and funds for the Susan G. Komen Chicagoland Foundation. We all have a sister, mother, or a friend who has been affected by breast cancer and we are proud to be just a little part of this Foundation’s efforts. October is breast cancer awareness month, and Bill Jacobs BMW of Naperville is proud to announce their 'Score a Deal for Breast Cancer' campaign. 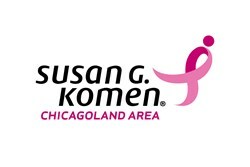 For the entire month of October, the dealership is raising awareness and funds for the Susan G. Komen Chicagoland Foundation. Bill Jacobs BMW will donate $1 for every mile that customers test drive a new BMW at their Naperville BMW location. * Additionally, for each new BMW sold in October, Bill Jacobs BMW will donate $25 to the Susan G. Komen Chicagoland Foundation. “The Bill Jacobs family is proud to be an official sponsor of the Susan G. Komen Chicagoland Foundation, and we are excited about this opportunity to let our customers help us tackle breast cancer, bringing awareness and support to such a worthwhile cause. We all have a sister, mother, or a friend who has been affected by breast cancer and we are proud to be just a little part of this Foundation’s efforts,” said Greg Joutras, General Manager at Bill Jacobs BMW. *See Dealer for details. Some restrictions apply. Expires 10/31/13. Though Susan lost her battle with the disease, her legacy lives on through the work of Susan G. Komen, the organization Nancy started in her honor. Komen is the global leader of the breast cancer movement, having invested more than $1 billion since its inception in 1982. Komen’s promise is to save lives and end breast cancer forever by empowering people, ensuring quality care for all and energizing science to find the cures. While you save on a BMW this October, you are saving lives touched by breast cancer. As one of the largest BMW dealerships in the Chicago-land area Bill Jacobs BMW is fully committed to creating a shopping experience for their customers that matches the luxury products they represent. In keeping with the Bill Jacobs tradition, they promise to provide a customer-friendly purchasing experience, as well as a responsive and reliable experience in their service department. With over 50 years in the automotive business, Bill Jacobs BMW is a name you can trust.